Work is under way on the first stage of Galen College’s multi-million dollar vision for the next 15 years. Unveiled as part of its masterplan early last year, Galen’s $7 million first stage involves the junior and senior schools swapping locations. Principal Bernard Neal said stage one had been split into three parts, with the $400,000 stage 1a, which began last week, focused on relocating and refurbishing seven portable classrooms which will be used in the transition to the change. “In 2016, the students will be in those transition rooms, which will be relocated into a position where we can use them, while the building is under way,” Mr Neal said. 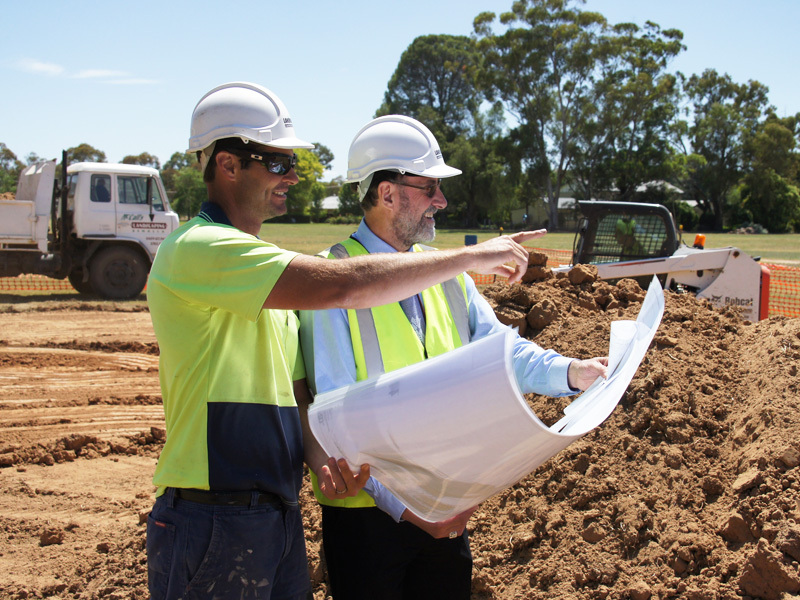 The $3.1 million stage 1b involves development of the new senior school on the Park Crescent side of the campus, while 1c, worth $3.5 million will see creation of the new junior school fronting Phillipson Street. Works will be funded through savings and borrowings, and the school is hopeful of attracting Catholic Capital Grants funding for the new junior school. Mr Neal said work on the new senior school would go to tender at the end of February, with work expected to start in mid-April.